Top 10 Videos of 2017, #10: What If My Spouse Denies That The Marriage Is Irretrievably Broken? Daryle C. Tibbs, owner of Tibbs Law Office, begins a new series on the Top 10 Videos of 2017.
https://tibbslawoffice.com/wp-content/uploads/2011/07/Family-Law-Keyboard-110717-sm.jpg 267 400 TibbsLawOffice https://tibbslawoffice.com/wp-content/uploads/2016/02/logo-300x74.png TibbsLawOffice2018-01-06 18:59:552018-02-14 14:39:12Top 10 Videos of 2017, #10: What If My Spouse Denies That The Marriage Is Irretrievably Broken? Family Law: How Much Is The Filing Fee For Divorce? November 16, 2014 /in Family Law, Other Law Topics /by Daryle C. Tibbs Esq. Family Law: How Much Is The Filing Fee For Divorce? *Please note that the Clerk of Courts increase these fees almost every year. https://tibbslawoffice.com/wp-content/uploads/2011/07/Family-Law-Keyboard-110717-sm.jpg 267 400 Daryle C. Tibbs Esq. https://tibbslawoffice.com/wp-content/uploads/2016/02/logo-300x74.png Daryle C. Tibbs Esq.2014-11-16 12:41:132019-01-06 14:52:46Family Law: How Much Is The Filing Fee For Divorce? Domestic Relations: How does the court determine Spousal support? 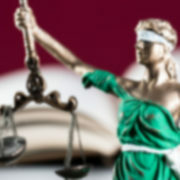 February 15, 2012 /in Family Law, Other Law Topics /by Daryle C. Tibbs Esq. Domestic Relations: How does the Court determine child support? https://tibbslawoffice.com/wp-content/uploads/2011/07/Family-Law-Keyboard-110717-sm.jpg 267 400 Daryle C. Tibbs Esq. https://tibbslawoffice.com/wp-content/uploads/2016/02/logo-300x74.png Daryle C. Tibbs Esq.2012-02-15 09:00:002019-01-06 15:08:48Domestic Relations: How does the court determine Spousal support? Domestic Relations: How do I enforce a child support order? 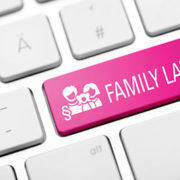 February 10, 2012 /in Family Law, Other Law Topics /by Daryle C. Tibbs Esq. https://tibbslawoffice.com/wp-content/uploads/2011/07/Family-Law-Keyboard-110717-sm.jpg 267 400 Daryle C. Tibbs Esq. https://tibbslawoffice.com/wp-content/uploads/2016/02/logo-300x74.png Daryle C. Tibbs Esq.2012-02-10 09:00:002019-01-06 15:09:59Domestic Relations: How do I enforce a child support order?